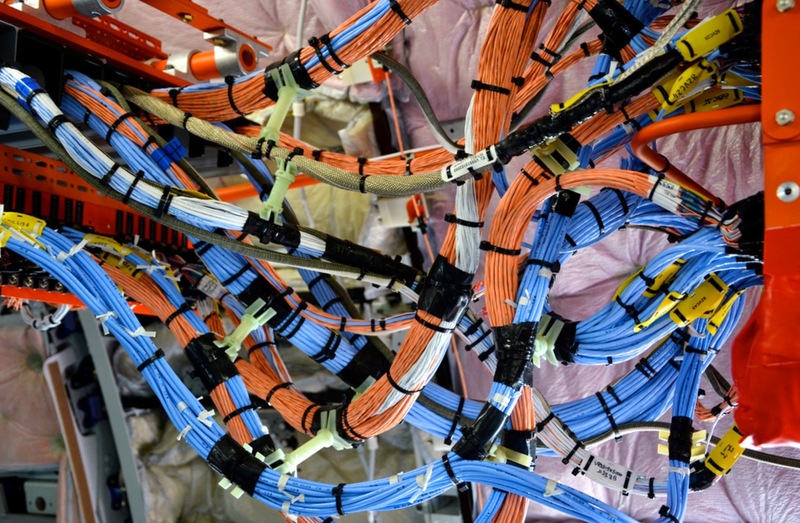 Cables for digital transmission in A350 are 25% lighter. 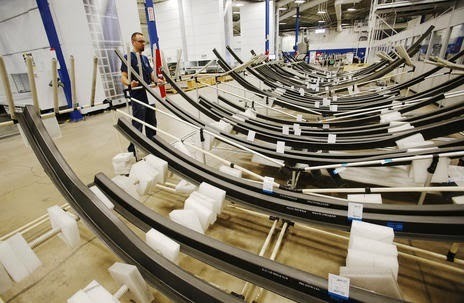 Draka Fileca is the French supplier (at Sainte-Geneviève, from the Prysmian Group) that has developed a cable for digital transmission for A350 XWB family. The cable not only had to enable high transmission rates but also had to be much lighter than the previously used KO24 type. Star-Quad KL24 data cable is up to 25% lighter than previous types of quad cables. And this cable also complies with the requirements of EN 3375-011 for electric cables for digital data transmission in aerospace. The type that was finally used was DuPont™ Teflon® FFR 770, which belongs to a family of new foam grades based on DuPont’s patented Airquick technology. 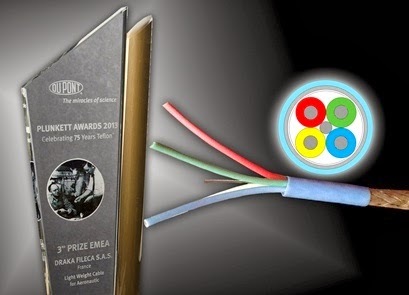 These products are suitable for the production of lightweight high-performance cables for high-frequency signal transmission in a wide temperature range and with minimal signal distortion. 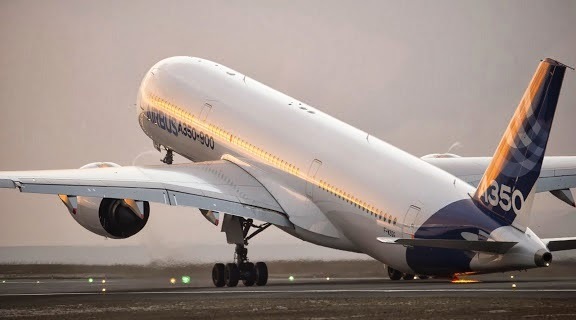 It is being initially used in the A350 XWB and there are plans to extend in the near future to other Airbus models, in order to optimize the weight, that for instance on the A380 could be lowered by up to 85kg. Why Japanese ANA has selected the 777-9x over the A350-1000? All Nippon Airways (ANA) has selected Boeing's 777-9X (20 aircraft) over the Airbus A350-1000 to replace its 777-300ERs. 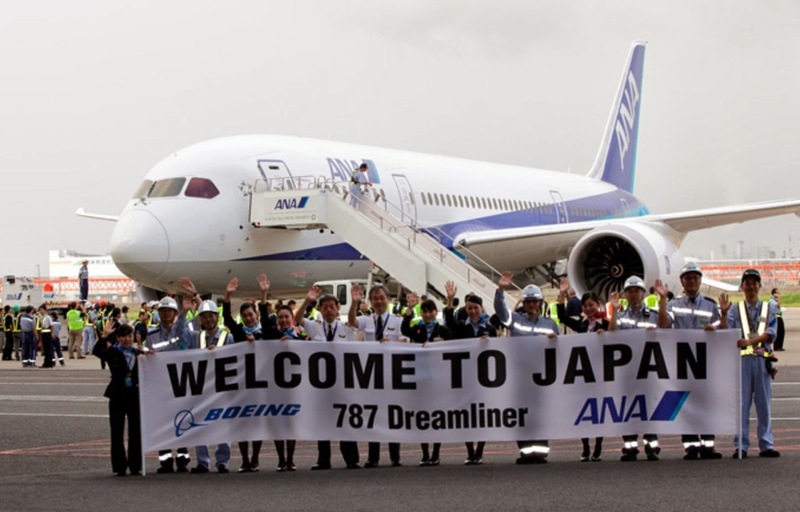 This was regarded as a key contract for Boeing to win, following Japan Airlines' decision last year to order Airbus A350s for its own 777 replacement needs. Boeing likely offered ANA an extremely competitive price discount on the 777X in order to ensure that the order didn’t go to Airbus like at JAL. ANA said the 777Xs will replace its 19 777-300ERs used on international routes, and will be delivered in fiscal 2021-27. ANA operates 54 777s, which comprise -200s, -200ERs and -300s. The airline plans to purchase 6 additional -300ERs to support international growth until the 777X deliveries begin. The -300ERs are due to arrive in fiscal 2018-19. ANA is also ordering 14 more 787-9s, which will bring its total 787 order to 80 aircraft, of which 44 will be -9s. The carrier has taken delivery of 27 of its 36 orders for the 787-8. Airchive analyses the 777X order as “truly interesting”, especially seeing as rival JAL opted for the A350-1000 instead. ANA simply has more need for the larger seating capacity of the 777X than JAL for several reason; . 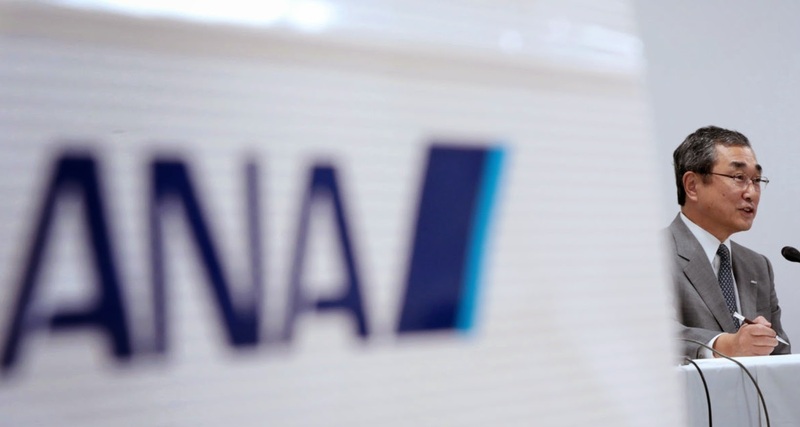 ANA is the larger carrier with a larger overall network and moreover, ANA recently won the lion’s share of international slots at Tokyo’s airport, which better facilitates the use of the larger 777X. 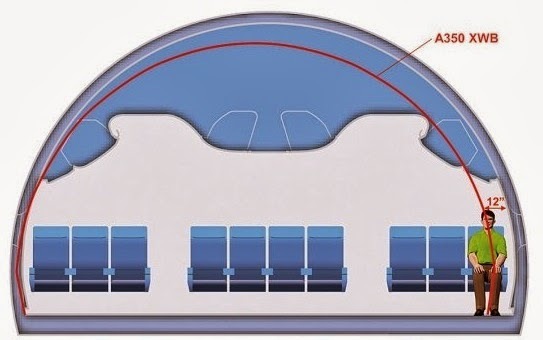 Furthermore, ANA has had more of a challenge controlling its costs relative to JAL, which means that competitively, it needs the CASM boost of the 777X’s larger seating capacity. Airchive presents an economic comparative analysis of the A350-1000 versus the Boeing 777X for a typical mission of 5,550 nm; despite the A350-1000′s optimized airframe, the seat-capacity advantage of the 777X in ANA’s typical 3 class configuration gives the 777X a 4.4% CASM advantage over the A350-1000. If, as in ANA’s case, you can fill the extra 45 seats, the 777X will be the better tool. Based on the article “ANA Goes Shopping: Our Analysis of the Order” published in Airchive. 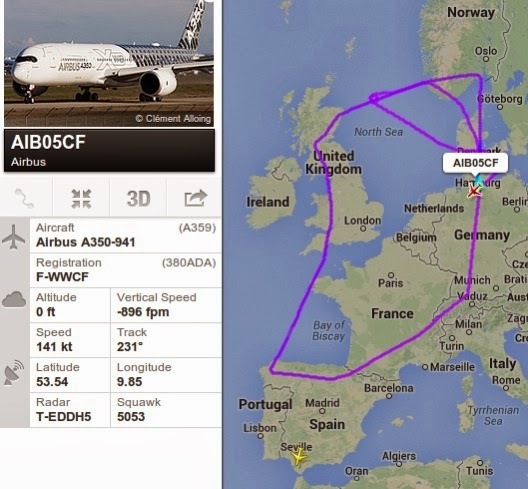 A350 continues flight test program and returns to Bâsel-Mulhouse airport. 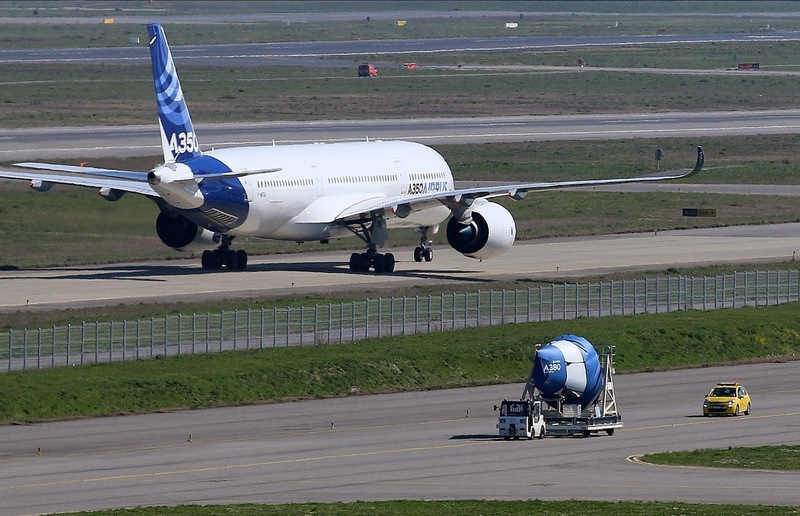 Next Monday 31/March within the flight-test program of the Airbus A350, the EuroAirport will receive the visit of a flight prototype from 8:00 in the morning to carry out around 12 landings and take offs on the main north-south runway. 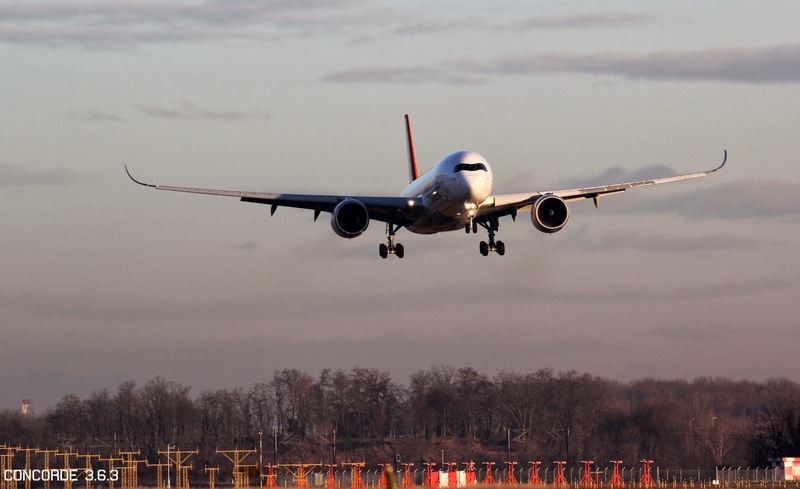 The French DGAC has issued the authorization and informed the air traffic control. Last 29/January the MSN1 prototype carried out some similar tests in the same airport with several circuits and touch&go's. That was some of the last tests of the MSN1 prototype before being upgraded with the “new” Nickel-Cadmium batteries. The Bâsel-Mulhouse-(Freiburg) airport or Euroairport(LFSB) is jointly operated by France and Switzerland. It is located in France but closest to Basel in Switzerland. The CDC, a refurbished historic hangar in Hamburg, enables customers to test and compare the full A350 XWB product range, creating their cabin in one place. And having the program´s cabin engineering team at hand makes for a unique experience. “A collaborative strategy makes the CDC a win-win partnership for all those involved” said the CDC manager Bausor. 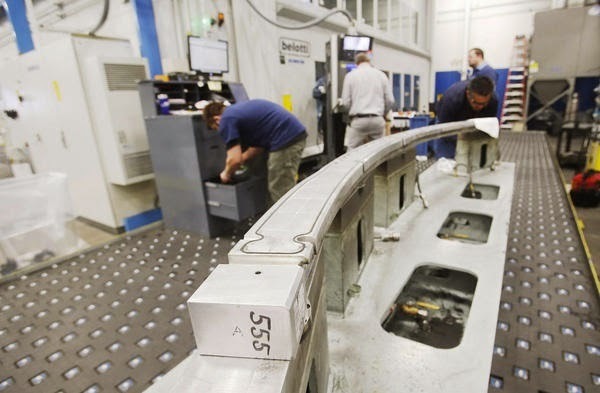 The centre is designed specifically to support the A350 XWB´s customization and sourcing policy. 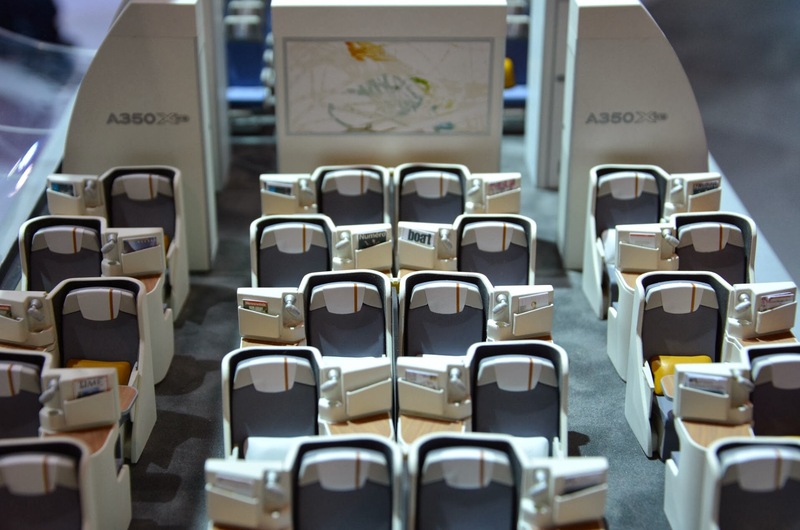 Customers will be led through purpose-built displays and zones: functional play rooms for cabin equipment testing; exhibition areas for airline product staging; and design studios for materials definition. Virtual reality technology, customer specific mock-up areas and fully equipped customer areas will make the CDC a one-stop-shop. The first definition meetings have been a resounding success. 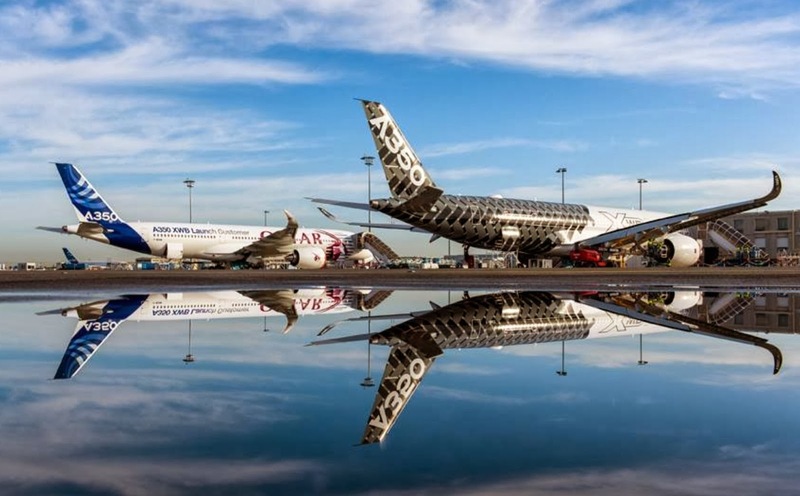 “Our first customer saw the Centre as wonderful facility offering unparalleled opportunities to get first hand information on cabin options and run fruitful definition meetings with Airbus” said Caudron, head of A350 XWB customer and business development. 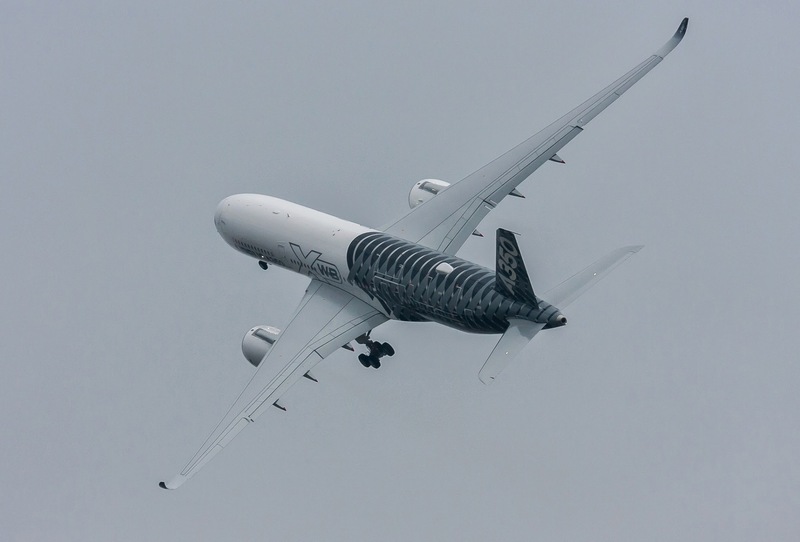 These are some of the best webs to watch pictures of the A350 flight prototypes. 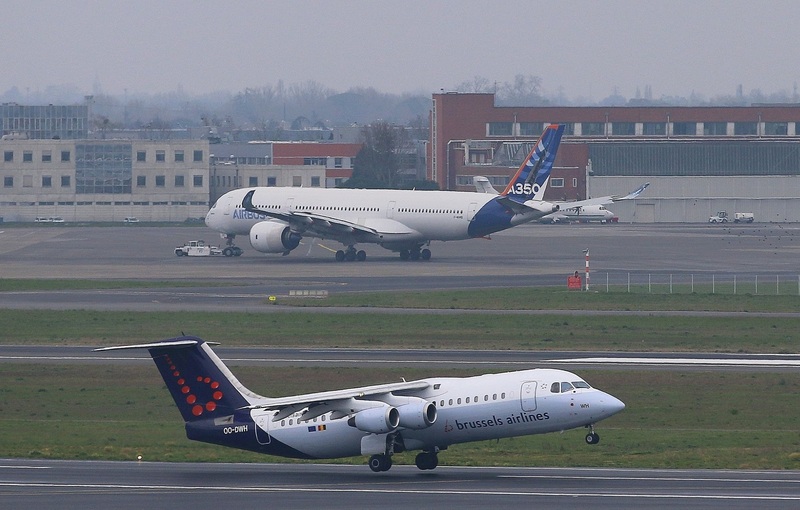 AIRBUS web has a wide quantity of professional photographs. 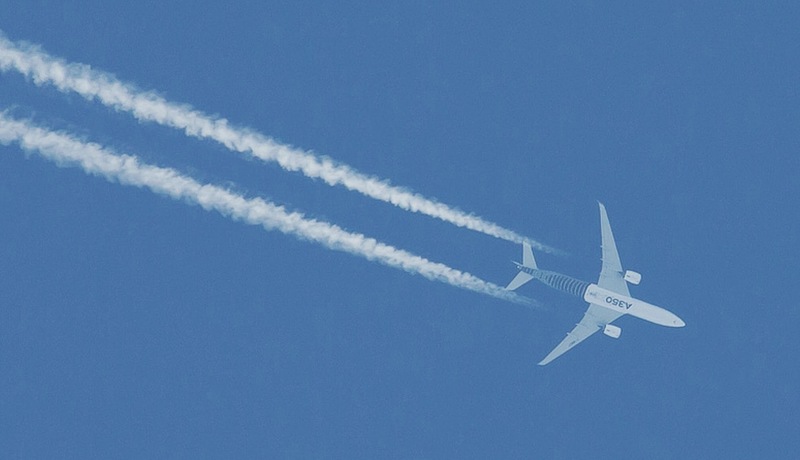 Thanks to all of them for sharing with everyone the great images of the A350. 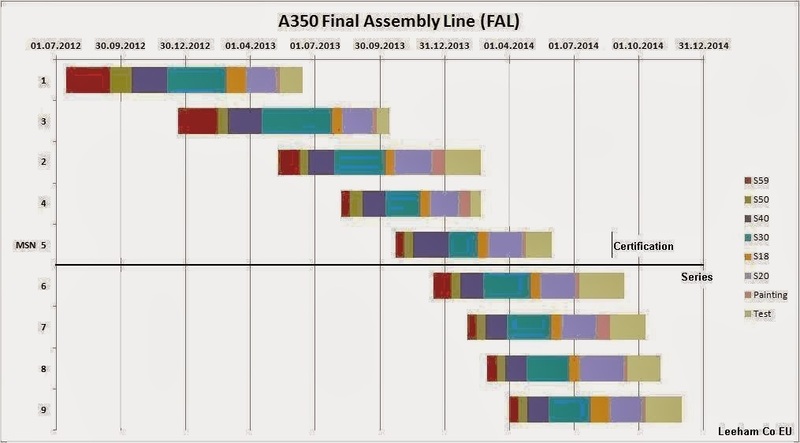 Leeham News is being followed the A350s production through the assembly stations over the last two years. The time that each aircraft spends at the FAL stations gives a good picture of the production readiness of the program because any non-maturity of the sections or traveled work means more work packages have to be completed at FAL and more time spent in the troublesome stations. These graphs shows how the FAL has performed since the first test aircraft MSN1 entered FAL in July 2012. It can seen how gradually the FAL time has gone down from 300 days to (Leeham News´ prognosis of) 220 days for the last prototype, MSN5. To make the FAL time graph more readable, they have added 20 respective 10 days of cabin installation days at S30 and S20 for MSN4, which does not have a cabin nor a heavy instrumentation fit. Without this addition, it would have been difficult to see the trend for other MSN4 stations. 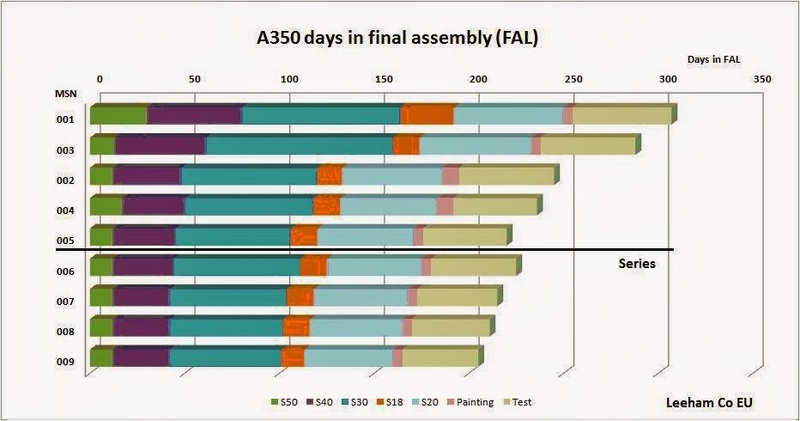 The A350 FAL shortens the assembly times in the different stations monotonously. This shows an early learning curve and the diminishing level of elaborate test instrumentation installations. It also shows a low level of FAL dramas, i.e. traveled work or parts that does not fit. MSN5 is the first serial like aircraft with virtually no test instrumentation. 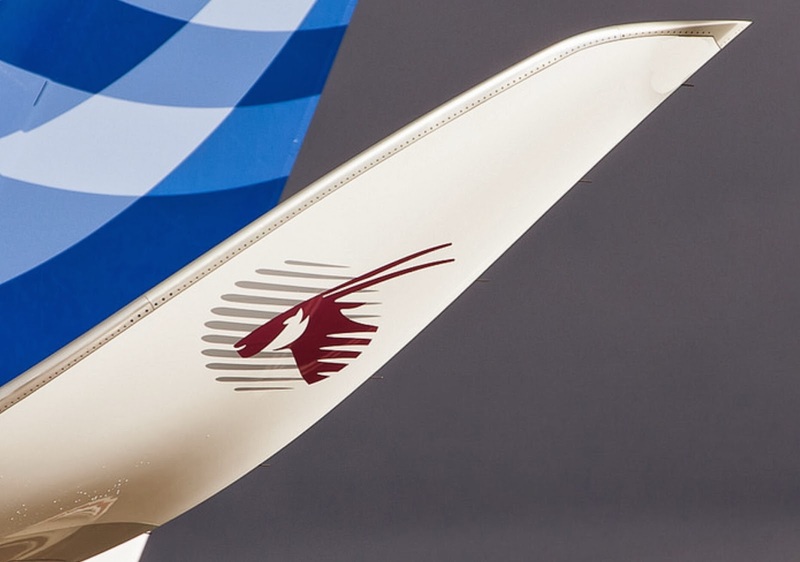 Its FAL time is a good yardstick for the time MSN6, the first A350 for Qatar, will spend in FAL. 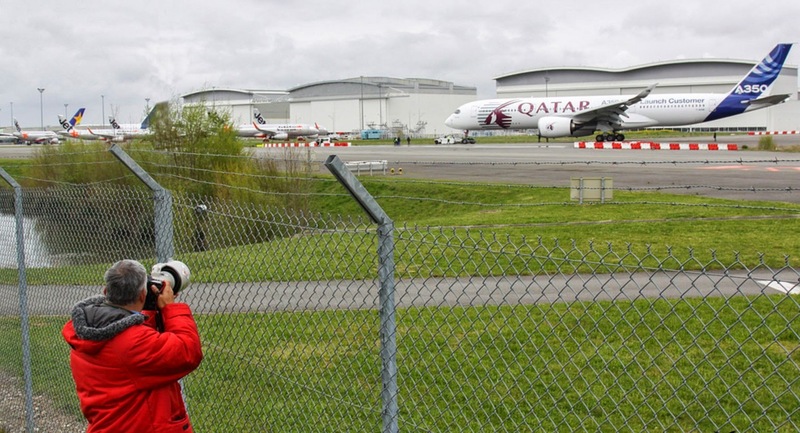 With added test time for final inspection and delivery to Qatar, the predicted time for delivery is still ahead of the communicated times of December (Airbus) and November or October (Qatar). 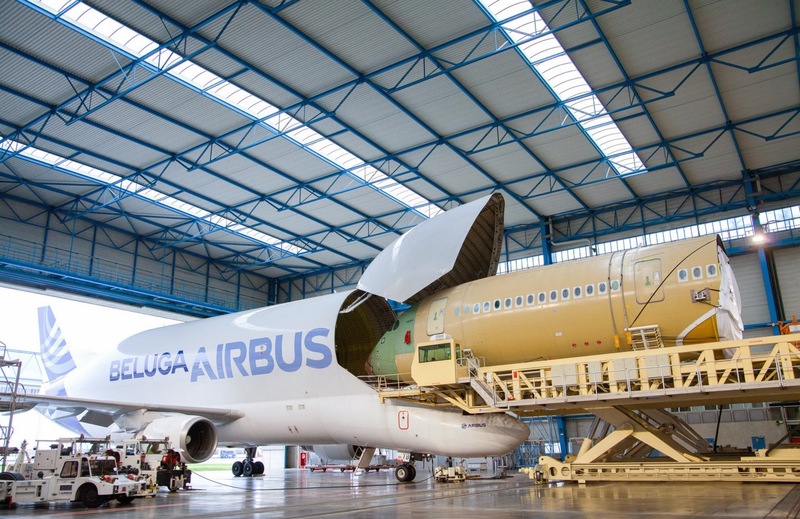 Although Airbus remains publicly ambivalent about its willingness to develop a reengined A330, a growing sector of the market is voicing support for the move. Mason also says the reengined A330 and A350 markets are not necessarily the same: “We see them as segments that don't overlap too much. 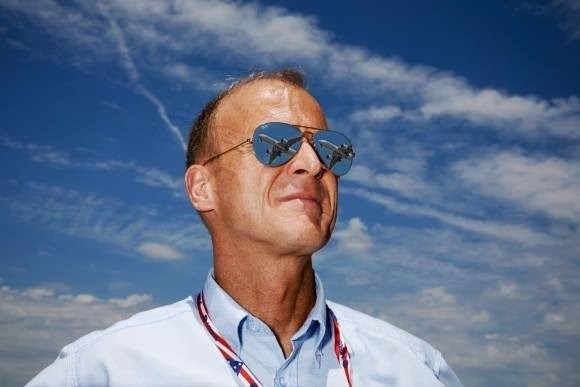 The important thing is that Airbus act quickly.” Failure to move swiftly and make a launch decision within the next six months or so could cause Airbus to miss the launch window. “That would damage the business case,” Mason says. Not all lessors are in agreement over the case for the A330neo, however. Steven Udvar-Hazy, chairman and CEO of Air Lease Corp., appears highly skeptical. 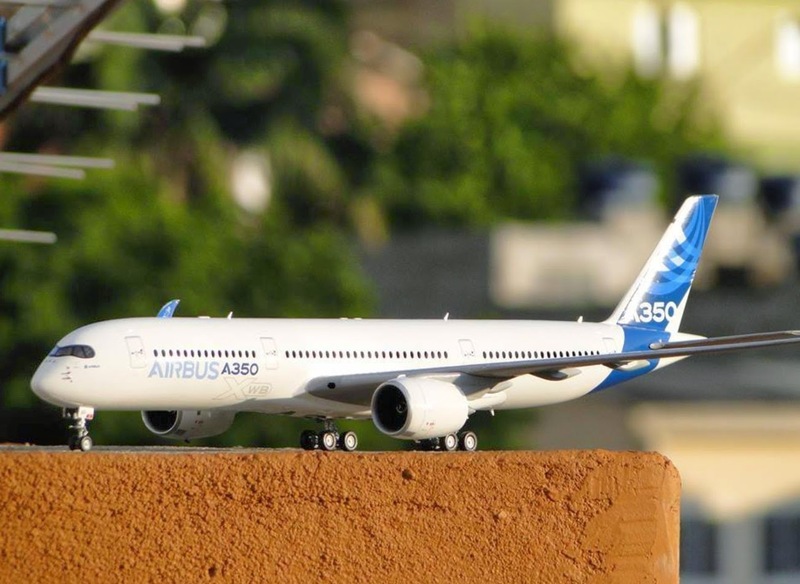 “We don't believe it is rational for us to take the A350-800 and the A330neo. 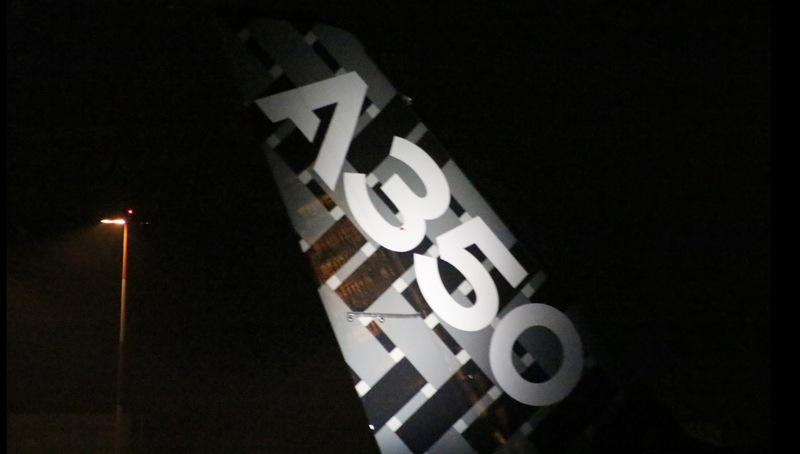 Airbus has not made that decision at a senior level and, if they do, I believe the focus going forward will be on the A350-900 and further enhancements to the A350-1000,” he said. In the mid-2000s, as head of International Lease Finance Corp., Udvar-Hazy was influential in forcing Airbus to redesign the A350 with a wider fuselage. “I don't see the A350-800 surviving if they do the A330neo,” he added. Malaysia Airlines was studying 787 and A350 as replacements for 777 and A330 from around 2018. While the MH370 flight search keeps on going, last June/2013 was published that Malaysia Airlines was studying both the Airbus A350 and Boeing 787 as potential replacements for its existing medium and long-haul fleet of aircraft. Malaysia Airlines operates a total of 14 Boeing 777-200s and 14 Airbus A330-300s, and it eventually wanted to fly only one type of aircraft in this segment to simplify operations and reduce costs, Germal Singh, the airline's senior vice president of government and international affairs, told reporters on the sidelines of an airline conference in Capetown. It may begin to replace these aircraft from around 2018, he added. Malaysia Airlines also operates 6 A380s and 61 Boeing 737s. 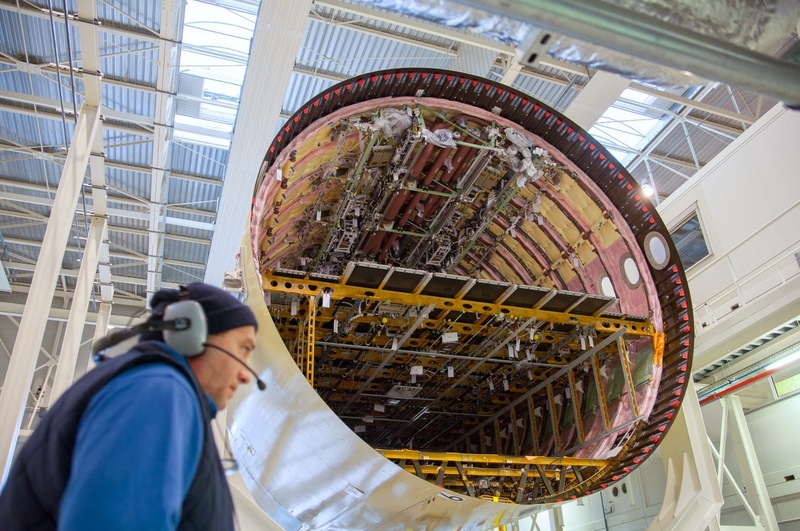 MSN2 prototype returns to Toulouse after 10 days in Hamburg. 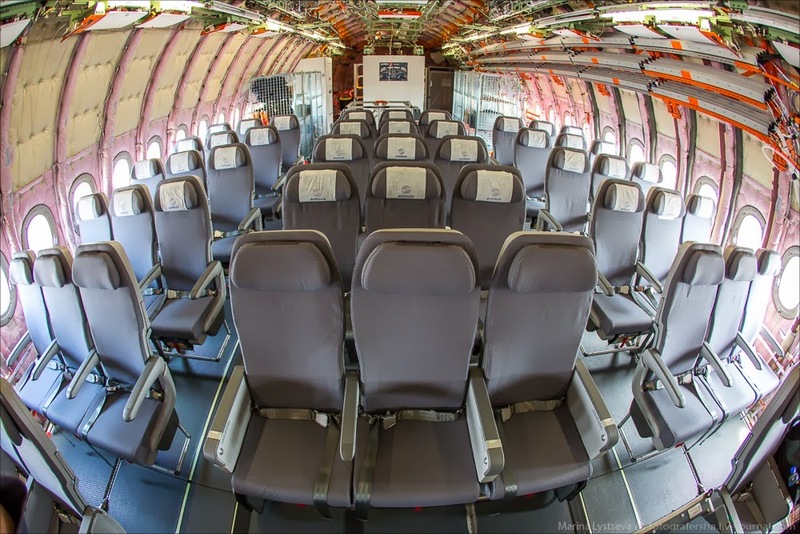 This cabin equipped prototype has made 5 flights of more than 8 hours each while based on Finkenwerder with a total of more than 44 test flights to check different cabin systems as air conditioning, power supply of seats and kitchens and the consumer electronics. 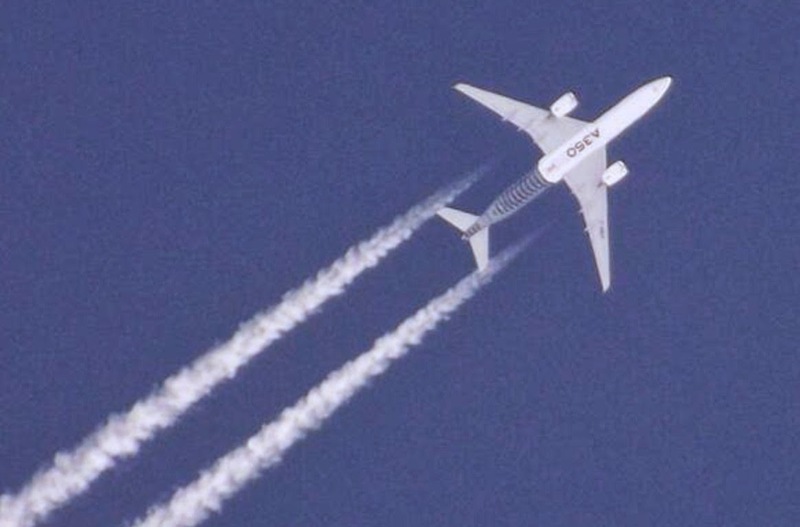 The longest flight was on 14/March with more than 9hours and a half. A350 MSN1 has resumed the flight testing again since being grounded last 31/January for a planned upgrade in order to install the production-standard electrical power center and system. F-WXWB registered aircraft will fly with the “new” nickel-cadmium batteries and other Flight test instrumetation as artificial ice shapes. The MSN1 has taken off from Toulouse today in the morning. ATK employees marked a milestone in manufacturing of composite parts and they celebrated the fabrication of the 20,000th composite part for the Airbus A350 XWB Program. Rep. Rob Bishop and executive director of the Utah Governor’s Office of Economic Development Spencer Eccles were on hand at the ATK´s Aircraft Commercial Center of Excellence (ACCE) facility in Clearfield, Utah to honor the company and its employees. 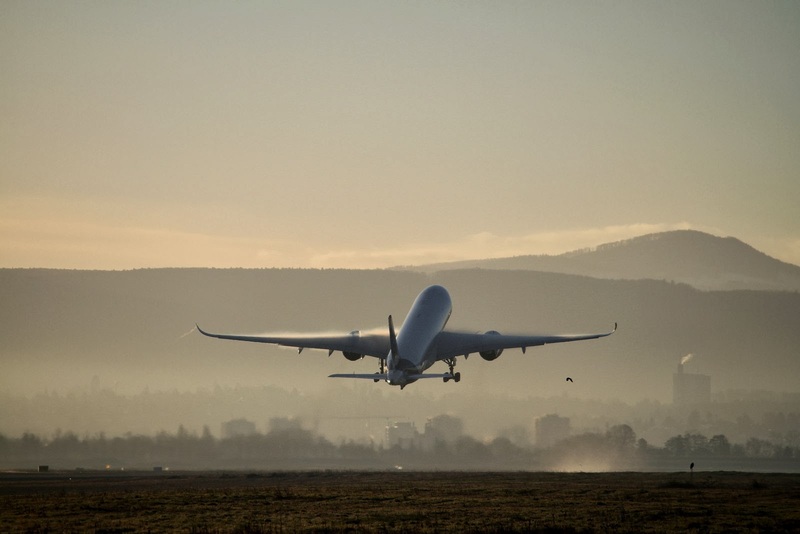 ATK supplies stringers and frames to Aerolia and Premium Aerotec for A350-900 and last January/2014 ATK extended the contract for composite stringers and frames manufacturing on the A350-1000 model. Saft is the French supplier in charge of the manufacturing of batteries for the A350 XWB. 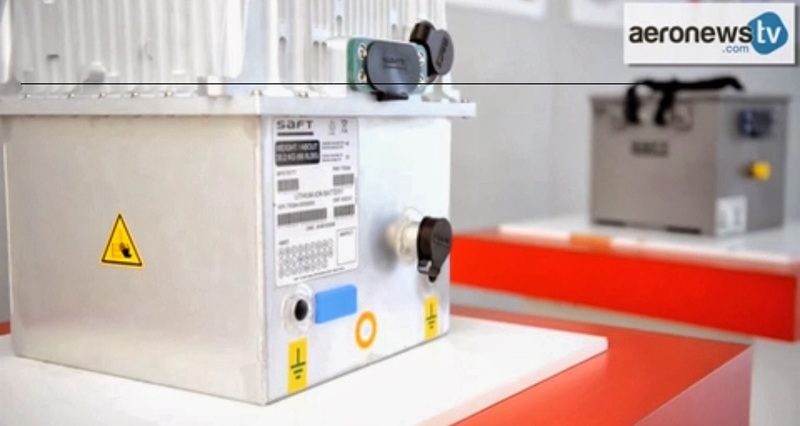 In this video, there are shown the differences between traditional nickel-cadmium batteries and next-generation lithium-ion. Currently the lithium-ion batteries are more present in military aviation but their use is being generalized with replacement of certain hydraulic functions by electrical functions on the new aircraft requiring more energy on board. 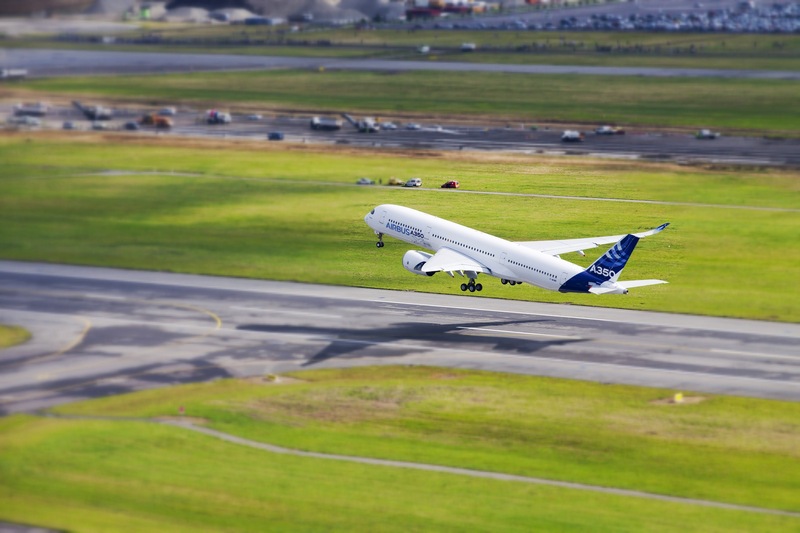 The Airbus A350 is going to be certified with nickel-cadmium batteries and in 2015 it will be re-certified with lighter lithium-ion batteries. 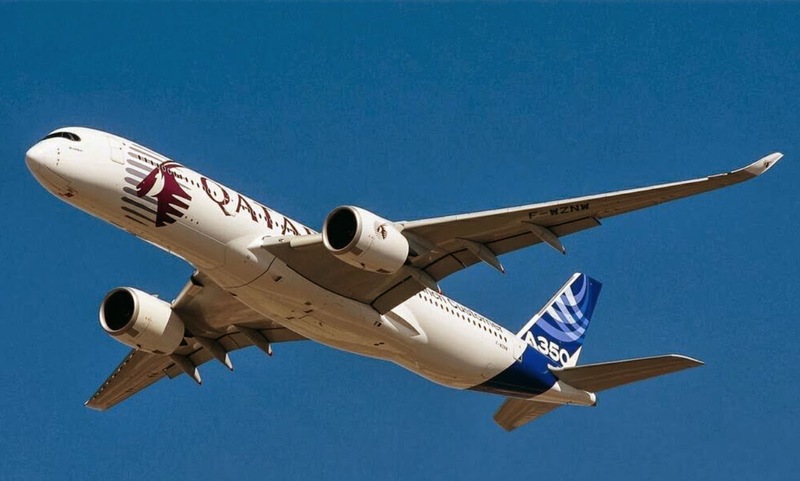 Airbus executives confirmed again last week that the first A350 would be delivered before the end of the year to Qatar Airways, although they didn't nail down the time frame more precisely. 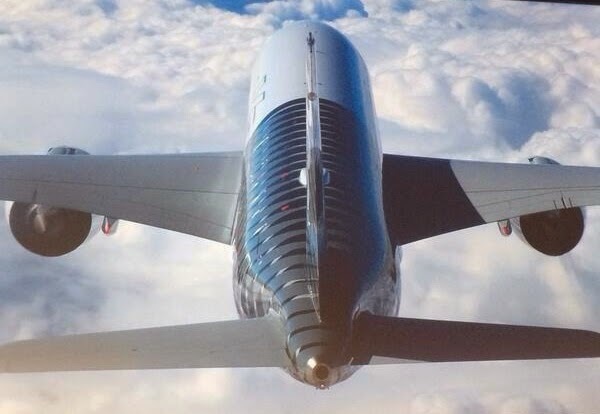 "The current plan is to deliver the first aircraft before the end of the year," Enders told a dozen reporters at a breakfast meeting. "Can't say if it's one or two." The test program with 4 planes is running "at very high speed," with the 4th plane used to train pilots. The anticipated 5th version will be the production representative and will fly from May, Enders said. "We are in really high gear over the certification preparation, which we should have in the fall," Enders said.